My girl has been a fan of Thomas and Friends for most of her life. Yeah, I know that's a big statement considering she's only four. Given the fact that most of the toys she got for her birthday 4 weeks ago are already tossed aside, capturing her interests for two years is an achievement. I keep wondering when she will grow out of her attachment to Thomas and Percy, but her imaginary friends are still inspiring hours of play after arriving more than two years ago in our home. It is amazing to look back at earlier videos and notice how her language skills have grown as she narrates the stories she is dreaming up for her trains. We want to give her family memories to last a lifetime. Driving four hours to attend "Day Out With Thomas 2013"
Originally we started collecting Thomas and Friends trains as well as track sets to appease our girls fascination with toys that could move and be manipulated. 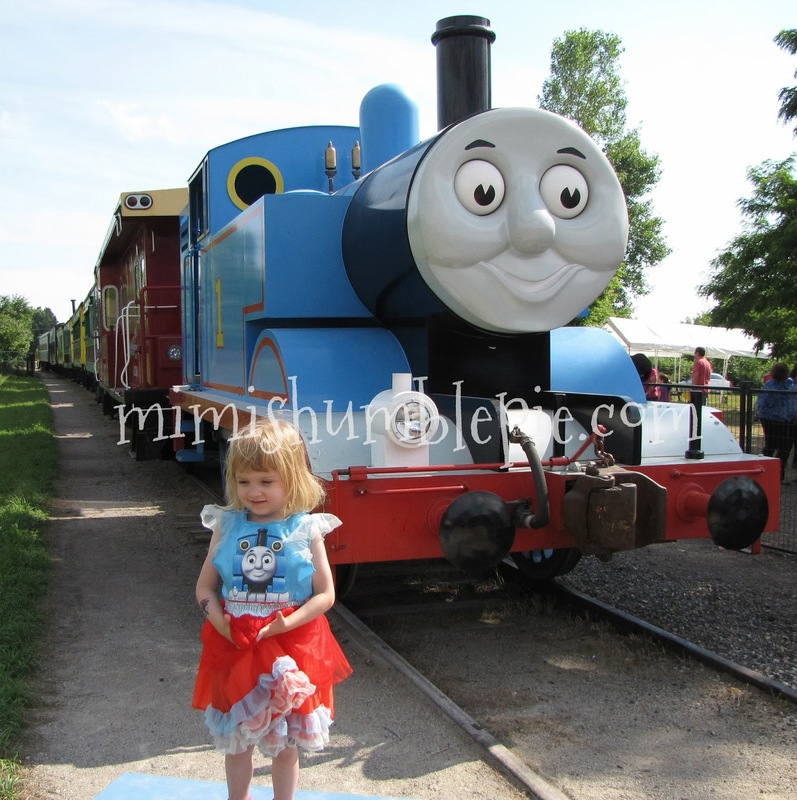 She was two when this love of everything Thomas started. 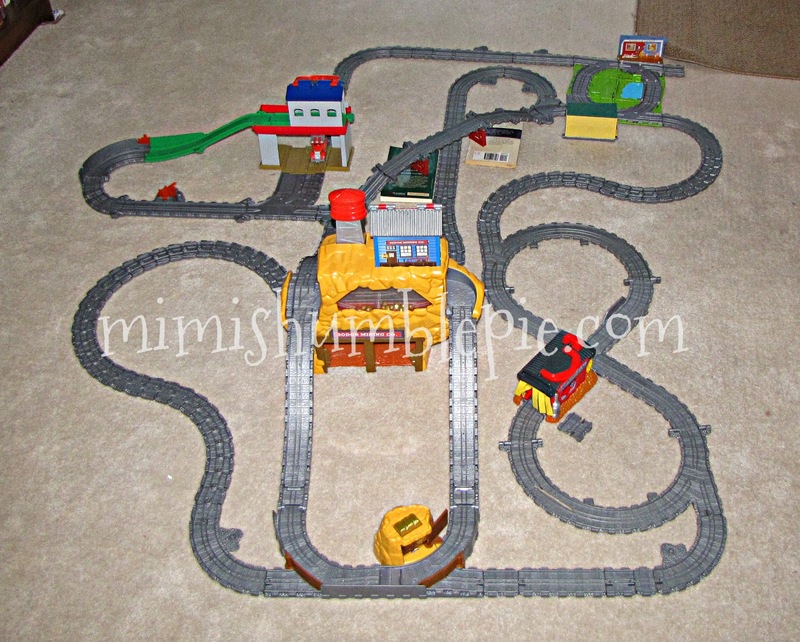 Since then she has collected four Take and Play sets, 20 Thomas and Friends character trains/vehicles, plus many DVD's. Building the tracks has helped her exercise problem solving skills and fine motor skills. separate sets and three sets of flexible track expanders. Our favourite thing to do as a family is to sit on the floor and play, read, or watch a DVD. You can bet that the newest Thomas and Friends King of the Railway DVD, released on September 24th, is already on her Christmas list. Join Thomas & Friends as they embark on a legendary movie adventure! The steam team's quest begins when a special guest arrives on Sodor with a big surprise and important jobs for Thomas, Percy and James. The engines meet new friends and discover suits of armour; coats of arms and legends of long-ago heroes. Then their bravery is put to the test when their new friend Stephen goes missing. Will Thomas find him in time? Will the engines discover the truth about the Island of Sodor's biggest mystery? It's a crusade of knightly proportions for Thomas & Friends in this epic movie! Also available in French. I know that her interests will change eventually, but for now I will respond to and cherish her sweet inquiry "Mommy will you play with me?"